If you’ve ever looked into taking a Disney World vacation, you at have been shocked at the price tag. That said, you really shouldn’t let those numbers scare you away. This is because there are tons of ways to save loads of money on your Disney vacation, and that means you can have all the magic with a much smaller price tag. discounted Landry’s cards are often available and can be used at Rainforest Cafe, as well as T- Rex Cafe. form of restaurant credit. You’ll also receive a birthday reward, so vacationing near your birthday makes this a great deal. Fort Wilderness Campground — All the benefits of being onsite at $55 during low season. Of course, you will be staying in a tent unless you have an RV. Off-site Hotel — Staying off-site will always be the cheapest option (for example, you can stay at the Howard Johnson 12 miles away for $32/night). However, this option does require you to go outside of the “Disney bubble” on a daily basis. It also means you’ll be paying $20 to park. Off-site Camping — If you are considering camping, you might also consider off-site options. There are actually quite a few campgrounds in the Orlando area, and staying in one of these might save you a chunk of change. Also look for discounted Disney World tickets on these sites. While the deals aren’t always the best, they can become the best when used in conjunction with a rebates site. Another option for discounted tickets is Undercover Tourist. This site usually has the best deals on tickets overall, so I recommend checking them out for sure. 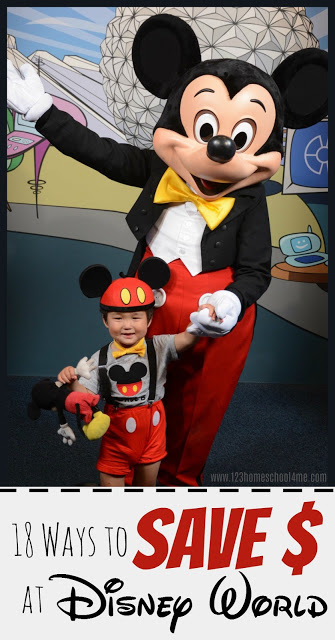 Disney’s Youth Education Series includes a variety of classes for students of all ages. By joining in these awesome classes, students and their family members receive discounted park tickets. That said, individual enrollment is no longer offered by YES. Therefore, you will need a group of ten or more kids to take advantage of this offer. By packing some cereal, granola bars, apples, and other simple breakfast items you can skip the expensive food court for breakfast meals which will save you time and money. Those who are on a really tight budget might also consider packing lunches to take to the parks. Food is allowed in each of the four parks, so doing this shouldn’t be an issue. HINT: We did this our first trip to Disney World. 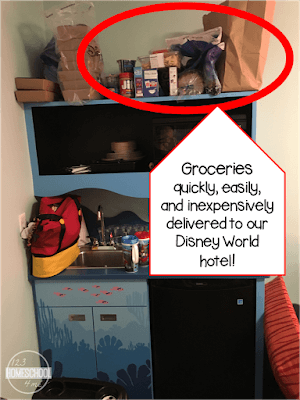 You can order groceries to be delivered to your hotel and make sandwiches and bring in fruit, chips, crackers, cookies, etc. You’ll save more than you realize! We did this before Hurricane Irma was due to hit Disney World in September 2017. We recommend that those looking to save money skip the Dining Plan. 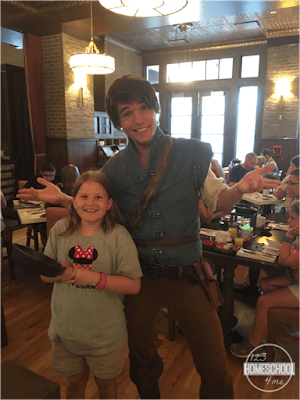 Sure, the Disney Dining Plan allows you to eat at fun, interesting restaurants and order a lot of food. But do you need all the food? Probably not. If you are looking to save money we say skip it! Before your trip, take a look at restaurant menus to find the ones that stand out as a good value. Make notes of this info and have it on hand when everyone’s tummies start rumbling. Restaurant in Fort Wilderness is a great shareable value. All Value Resort food courts include toasters, microwaves, peanut butter, jelly, and a variety of other condiments. Take advantage of these things. There are tons of free souvenirs at Disney World. Don’t like the freebies mentioned above? You might consider buying and bringing these Disney World must-haves beforehand. This will cut back on the “I wannas” and will cost much less than buying things in the parks. laundry room while you’re there. Or take Southwest where bags fly free. I don’t know about you, but I love saving money, and I love it even more when I’m saving money on a Disney vacation. Why not give these tricks a try to see how much you can save?